Saint Kitts and Nevis, also known as the Federation of Saint Christopher and Nevis, is an island state in the West Indies and a member of the Commonwealth. Nestled in the Caribbean as part of the Leeward Islands chain of the Lesser Antilles, it is the smallest sovereign state in the Western Hemisphere, in both area and population. The capital city, Basseterre, is on the larger of two islands, Saint Kitts. The smaller island of Nevis lies roughly 3km southeast of Saint Kitts across a shallow channel called “The Narrows”. Saint Kitts was named “Liamuiga”, meaning “fertile land”, by native inhabitants, the Kalinago Indians. Christopher Columbus sighted what is now Nevis in 1493 and gave that island the name San Martín. The current name “Nevis” is derived from a Spanish name Nuestra Señora de las Nieves, meaning Our Lady of the Snows, perhaps in reference to the white clouds which usually wreathe the top of Nevis Peak. The islands are of relatively recent volcanic origin (approximately 3.45m years old), with large scenic central peaks covered in tropical rainforest. There are numerous rivers descending from the mountains to white-sand beaches. Beds of offshore coral, teeming with fish of every stripe and colour. With the beautiful nature, there is a long and rich cultural history. Brimstone Hill Fortress National Park, dating from 1690, is a UNESCO world heritage site that has been dubbed the “Gibraltar of the West Indies”. Tourists can see where tobacco, indigo and then sugar was grown on the historic plantations, take sweaty rainforest hikes, or relax on the sandy, palm-fringed beaches. The sugar industry survived until 2005, and a unique legacy of this is the St Kitts Scenic Railway where passengers can ride for 29km along a narrow gauge line built to transport cane. Today the island lives by tourism, a transformation that appears to have been achieved with record speed. St Kitts now welcomes a steady stream of cruise ships and has a 394-room Marriott resort and casino. Major luxury property developments are taking shape and a private jet terminal and superyacht marina recently opened. It is also known for a number of celebrations including Carnival (December-January) and the St. Kitts Music Festival (June). English is the official language but is Saint Kitts Creole is also widely spoken. At the turn of the 18th century, St Kitts was the richest British colony in the Caribbean, a result of the sugar trade. The economy had traditionally almost exclusively depended on the growing and processing of sugar cane until the late 1970s when the government backed a drive into small-scale, export-oriented industrialisation. Tourism has since become the largest source of foreign exchange. There is a small offshore banking and shipping sector. Agriculture makes up 1.3% of the economy, with industry being 27.2% and services making up 71.5%. Saint Kitts and Nevis is a member of the Eastern Caribbean Currency Union (ECCU). The Eastern Caribbean Central Bank (ECCB) issues a common currency (the East Caribbean dollar) for all its members and regulates and manages monetary policy and banking. The US dollar is widely used as well. The United States is the main export and import partner for the country, accounting for 56% of the total exports and 31.7% of imports. The St Kitts and Nevis passport is issued to citizens for international travel. The passport is a Caricom passport as Saint Kitts and Nevis is a member of the Caribbean Community. Interested parties can acquire citizenship if they pass the government’s background checks and make an investment into an approved real estate development. The St Christopher (Kitts) and Nevis passport issued is valid for 10 years, which can be renewed thereafter. It takes about three to four months processing time. The Government has introduced extensive legislation to attract financial services businesses to the island. The Citizenship by Investment Programme has also been in operation since 1984, allowing foreign investors to acquire citizenship under certain conditions. This makes it the oldest existing citizenship programme in the world, as well as the most reputable citizenship programme in existence. 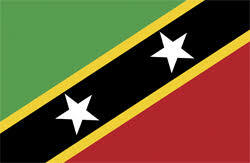 St Kitts & Nevis citizenship is highly regarded. As a result, St Kitts & Nevis citizens enjoy a passport with an excellent reputation and very good visa-free travel, including to all of the EU’s Schengen Area, Hong Kong, Switzerland, and other countries. Accordingly, the St Kitts & Nevis Citizenship by Investment Programme is an attractive option for individuals looking to acquire a second citizenship through investment without prior residence requirements. St Kitts & Nevis, you have the right to take up residence in St Kitts & Nevis at any time and for any length of time. You will not be taxed on foreign income, capital gains, gift, wealth, or inheritance tax so this may complement your current wealth protection and tax planning strategies. Citizens of St Kitts and Nevis are allowed to hold dual citizenship, and the acquisition of citizenship is not reported to other countries. The regulations regarding citizenship by investment are contained in Part II, Section 3 (5) of the Citizenship Act, 1984. These provisions allow the government to operate a program under which citizenship is granted to persons who qualify under criteria set by a cabinet decision. St Kitts and Nevis has launched new Sustainable Growth fund, effective from 1 April 2018 after the expiry of Hurricane Relief Fund. The Sustainable Growth Fund for a single applicant will require a contribution of US$150,000, inclusive of Government fees. The contribution for a family of up to four will be US $195,000 following incremental steps. The fund will benefit St Kitts and Nevis in sustainable areas such as healthcare, education, alternative energy, heritage, infrastructure, tourism and culture, climate change and resilience, and the promotion of indigenous entrepreneurship. The government also allows for parents and grandparents over the age of 55 to be included in the application as dependents, if they are living with and are fully supported by the main applicant. The contribution of US$10,000 is required for each additional dependent, regardless of age. A one time charity donation of minimum US$250,000 to the Sugar Industry Diversification Foundation (SIDF) plus payment of processing fees. Additional fees apply for accompanying family members. The SIDF is a non-profit foundation established for the purpose of supporting the former sugar workers, conducting research into the development of industries to replace the sugar industry, funding the development of these alternative industries and providing further support to secure the sustainability of the national economy. The SIDF has been designated as a special approved project for the purposes of the St. Kitts and Nevis Citizenship-by-Investment Programme; its accounts are public and are annually audited by a large international audit firm. The minimum contribution or US$250,000 per person is non-refundable once passport is granted. The SIDF option is the fastest and cheapest way to attain second citizenship. Designated recoverable real estate investment with a value of at least US$400,000 plus payment of various registration and other fees. Additional fees apply for any accompanying family members. The real estate investment of US$400,000 may attract two applicants at US$200,000 each plus government fees, but this can only be resold after seven years. The government works with various approved real estate developers. You can buy villas or apartments or luxury condos, provided you satisfy the minimum investment. The real estate is expensive, but it is a recoverable investment after five years. The real estate can be sold after five years – it also qualifies the next buyer for citizenship, as of 2012. Effective from April 2018, two persons (joint) can buy real estate each contributing $200,000 meeting $400,000 requirement but the property can only be resold after seven years. You can expect total costs of US$492,000 or more, with the real estate option for single applicant. Additional costs apply for accompanying family members. The SIDF is a much cheaper option for citizenship, compared to real estate investment. The average processing time is between four and six months, if property is purchased from a developer that meets all criteria for efficient processing of citizenship application. NB: The Hurricane Relief fund option required US$150,000 donation for a family of four. This scheme closed on 30 March 2018. I am extremely impressed with your writing skills as well as with the layout on your weblog. Is this a paid theme or did you modify it yourself? Anyway keep up the excellent quality writing, it’s rare to see a great blog like this one these days. I just want to tell you that I’m very new to weblog and certainly enjoyed you’re web blog. Very likely I’m going to bookmark your blog post . You actually come with wonderful stories. Thanks a lot for revealing your webpage.